Hi everyone! 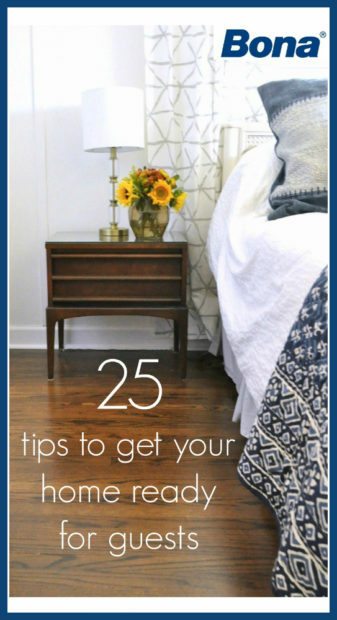 Today I’m joining 4 other bloggers, with Bona, to share our top 25 ways to get your home ready for guests! 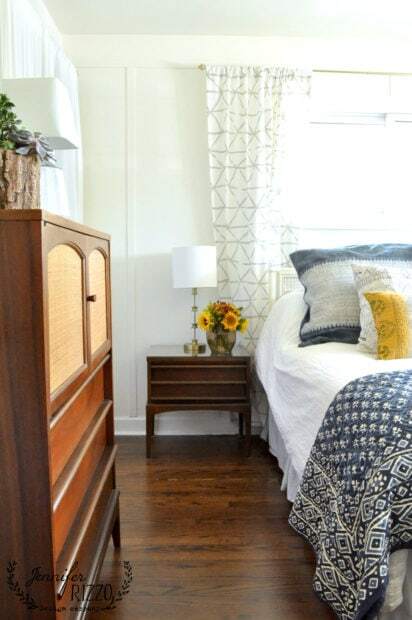 Each of us will be sharing our top 5 favorite tips to get your home prepped for when friends and family start visiting. Like many homes,we don’t have a guest bedroom. So, when we know we have someone coming to stay, we start planning where everyone is going to sleep. The kids used to share beds, but now that everyone is kinda grown-size, Oldest, who is now a teenager (and lucky girl, is the only one in the house with her own room,), gets the honor of an air mattress in the younger kiddos room. You would think there would be complaints, but actually, they think it’s kind of fun,like camping. I actually make her vacate a day or two before our guests arrive,so I have time to clean the room, change the sheets and have it ready to go! #2 Pull out the guest towels. We don’t actually have fancy guest towels, but I do actually have a few matching sets (sad, I know.). I normally freshly launder them,and throw them in the dryer with some essential oil dryer balls, so they smell fresh. I put the entire set on a chair by their bed, so they don’t have to hunt around for towels. I also show them where they are in the linen closet just in case they need a few more. I have a family where there are a lot of allergies and some food intolerance, so I try to be sensitive to any food issues. I try to ask what kind of food issues they have, if any, or if there is something special they really like to eat or drink, and stock a shelf full of goodies and treats just for them. The other thing I make sure to to tell them is to feel free to help themselves at anytime,day or night. I also love to make the first meal something that consists more of small bites,rather than a big sit down. It’s much less formal for guests, and make sit much easier to talk and visit. While I would love to have cookies baking when people are coming over, I am normally in a last minute rush when I get ready for guests. 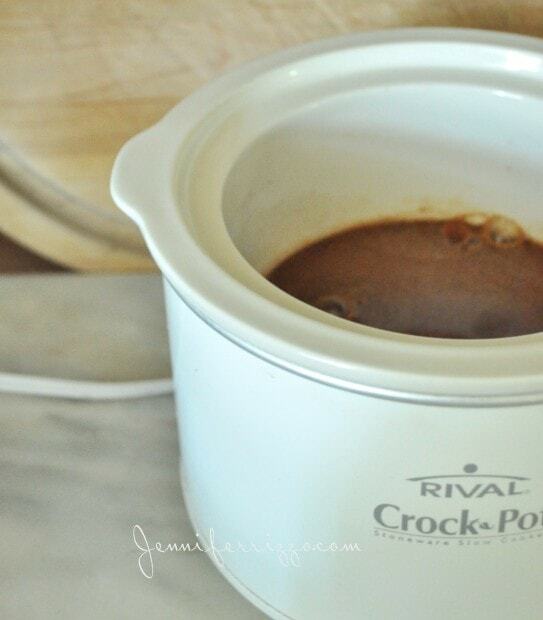 What I do love to do is to set up my crock pot with some baking spices in water and put it on warm. It makes the house smell delicious, and feel warm and cozy, like I’ve been baking. My cleaning is almost always done last minute because, well…kids. I find it’s best to clean as I go when I get the house ready for guests, but to leave the floors until last, so they are sparkling at least for a few hours before the kids invade. Since Bona refinished our upstairs floors, I’ve actually enjoyed cleaning them! 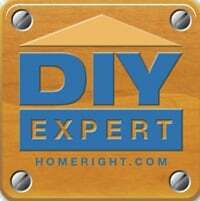 I use the Bona PowerPlus cleaning system. While I love how my new floors look, it also makes our older downstairs floors look pretty awesome too. 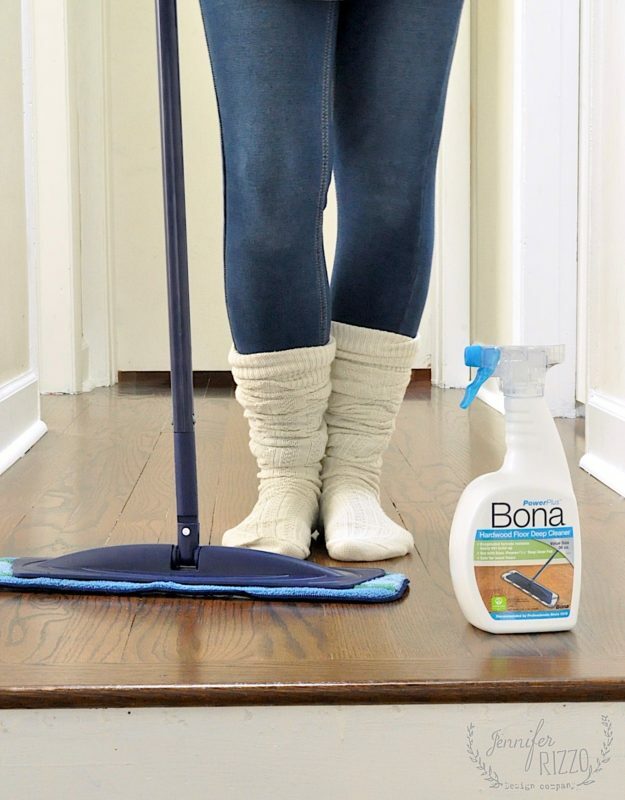 Bona PowerPlus Hardwood Floor Deep Cleaner offers Bona’s most powerful clean with 3x the cleaning action. It has a surfactant that loosens tough, heavy build up, and oxygenated formula penetrates for a deep clean, and a bubbling action enhances and lifts away surface debris. The Bona PowerPlus system of deep cleaning floor care products offers Bona’s most powerful clean with three times the cleaning action. 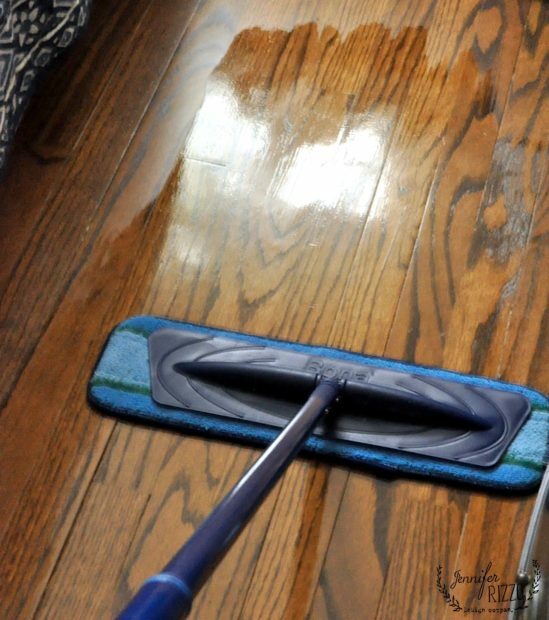 The Bona PowerPlus Hardwood Floor Deep Cleaner, specifically formulated for hardwood floors, works to deep clean and bring beauty to hardwood floors. Safe for hardwood floors, this GREENGUARD certified, ready-to-use, residue-free formulation provides deep clean results that are fast, beautiful and easy. Working in tandem with the Bona PowerPlus Hardwood Floor Deep Cleaner, the patent pending Bona PowerPlus Deep Clean Pad brings even more power to deep clean hardwood floors. Featuring PowerLoop technology, the microfiber pad gently breaks apart and loosens tough dirt via the twisted nylon scrubbers while the dual zone pad absorbs and traps dirt. The machine washable BonaPowerPlus Deep Clean Pad provides more than two times the absorbency over other microfiber pads. I really love how my floors look after using the Bona PowerPlus products, and how easy it is to get them clean and ready for guests! And I love that when I’m done cleaning, I can toss the pad in my washer. Done, and done! I am going to sneak in one more tip! 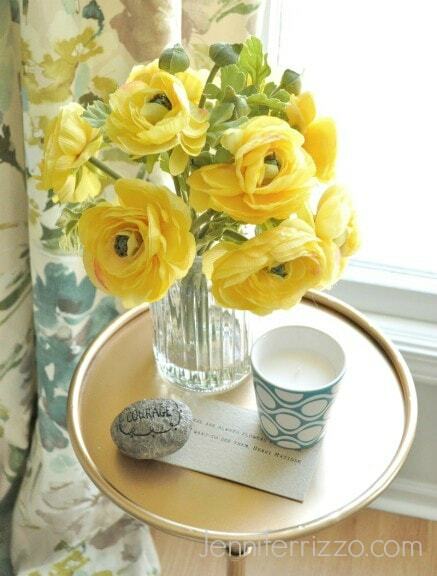 #6 After cleaning, add something special to your guests bedside table. Whether it’s fresh flowers, a little basket full of things like hand lotion, lip balm and bottled water, or even a few magazines for late night reading, I think it adds that extra special touch to make your guests feel welcome! This post is sponsored by Bona, opinions, and clean floors, are entirely my own. 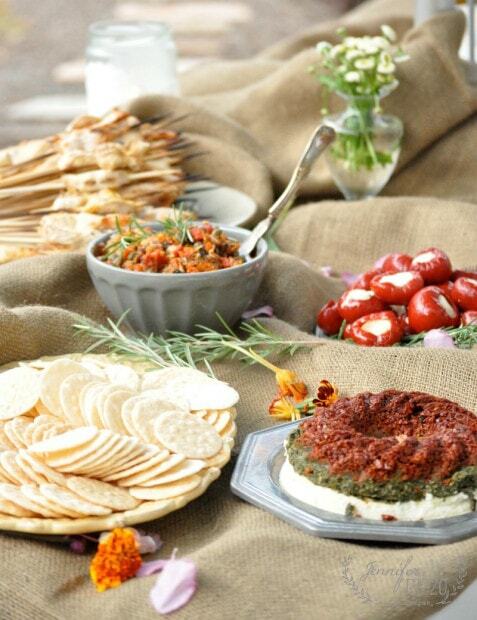 We have food allergies too so love your tip on planning the menu! Did I mention you look very powerful wielding that mop! 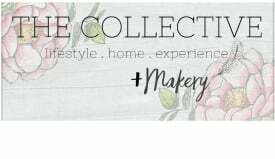 Love these tips and ideas, thanks! I will be using them.